Teaser trailer for Rockage 2015, a 3-day music and retro gaming festival in San Jose. We were tasked with handling video from multiple VJs, each with their own content and format challenges, and to service the occasional performer that had their own visuals they wanted to throw into the mix. 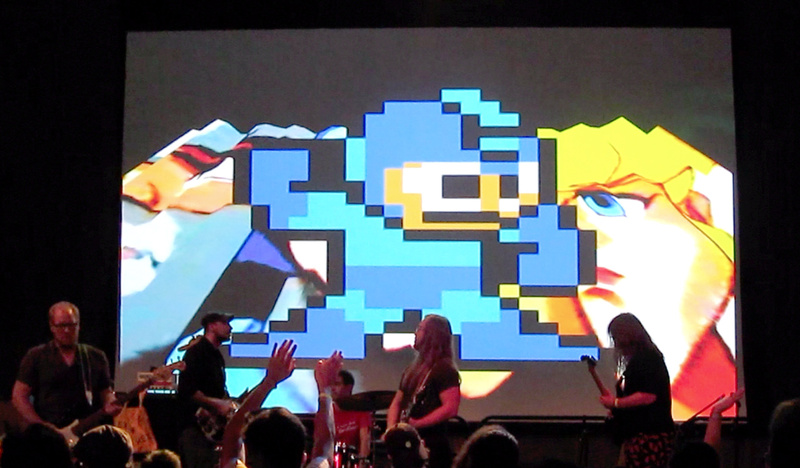 We also provided the visuals for The Megas (https://vimeo.com/119317907) and MegaRan (https://vimeo.com/119604758) which was a ton of fun! You'll notice that none other than JCVD himself has a starring role in this teaser-- he graciously contributed through the Funny or Die Jean Claude Van Damme "Make My Movie Challenge" since we needed someone to kick the cats that shoot laser beams out of their eyes. And the giant bees.